On October 14th, 2011; Apple debut a new product that had an answer to any question you had. We are of course talking about Siri! Instantly around the world, Siri was a success, answering any question you have, from complicated math equations to world and pop history, you may even have a chance to discuss the mysteries of mortality worth her. Since Siri's popular release more than 7 years ago, Big brands such as Google, Amazon, Microsoft, and Samsung have released their own personal assistants. Samsung is the newest player to enter the ring, Releasing their digital voice assistant Bixby alongside the Samsung S8, and Note8 earlier in 2017 and has yet to impress the public, due to the system not being fully functional yet. Samsung's Bixby is not the only voice assistant to be having troubles. Cortana, Microsoft's voice assistant was originally a character extracted from Microsoft's hit video game "Halo". She has been embedded within our new Windows 10 operating systems since their release. Cortana, however, is not as widely used. Earlier last month at CES 2018 in Las Vegas major companies Acer and Asus were showing interest in having Amazon's Alexa in Windows 10 Operating systems. 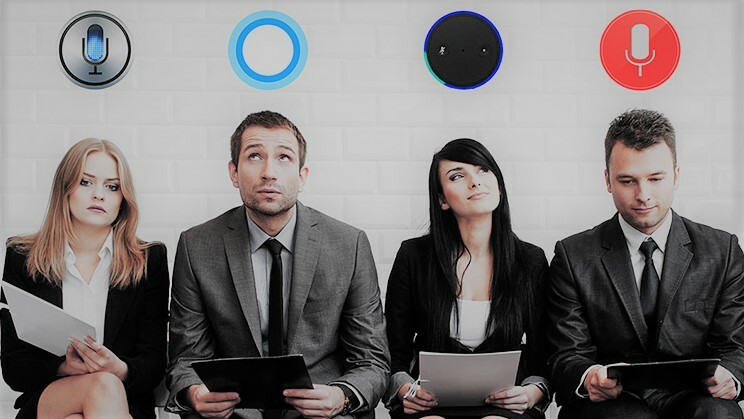 Although Cortana is not a bad assistant, people will see the benefit in how much more capable Alexa is with her integration into greater smart home devices, such as light switches and Thermostats. CES 2018 also revealed a growing trend that both Amazon and Google are racing as fast as they can to have their digital assistants built into as many devices as possible in hopes of making customers of these products use and rely on their assistants. The best recipe for getting your digital assistant everywhere is to put in everything. This will likely set the tone for there 2018 selling strategies. At Consortium Services we are excited to see what 2018 holds in store for the growing implementation of digital assistants. Traditionally these assistants have been for personal use. Yes, they can be used for a light amount of work such memo taking, reminders, and scheduling meetings in your calendar, however, we are eager to see these assistants start to integrate themselves into our work environments. Imagine a chef asking Alexa to preheat the oven, or saying "Hey Google, print end of the month sales report". The next time you go to work you be introduced to your new co-worker, the digital assistant.